The one-eyed giant Polyphemus, who's been stalking the nymph Galatea, surprises her in the arms of her lover, Acis, and flies into a rage. The Fontaine Médicis (d. 1630), a magical oasis in the Jardin du Luxembourg, is crowned by an enormous sculpture often mistaken for Poseidon but in fact is the Cyclops, Polyphemus. 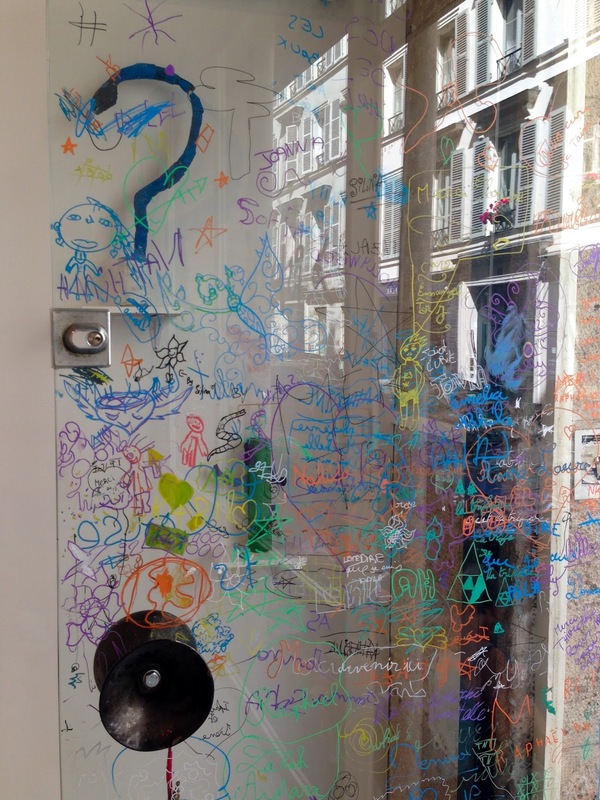 Almost every surface inside this rue des Beaux-Arts gallery including the front door is covered in the scribblings of toddlers. At the reception: helium balloons, home-made lemonade, cookies. The wood-fired brick ovens at Poilâne's small original Left Bank boulangerie work round the clock, turning out thousands of signature rustic loaves daily. Giant bubbles float across the expansive square in front of l'Hôtel-de-Ville. Ladurée has teamed up with Nina Ricci to create fragrances to go with its macarons. 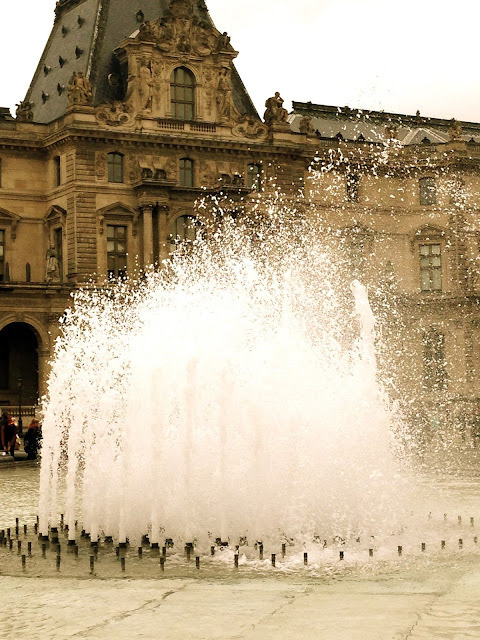 A fountain in a courtyard of the Louvre is contrasted against the darkness of the building behind. Place Dauphine is reflected in the windows of this restaurant where photographs of Simone Signoret and Yves Montand, who lived here, decorate a wall. 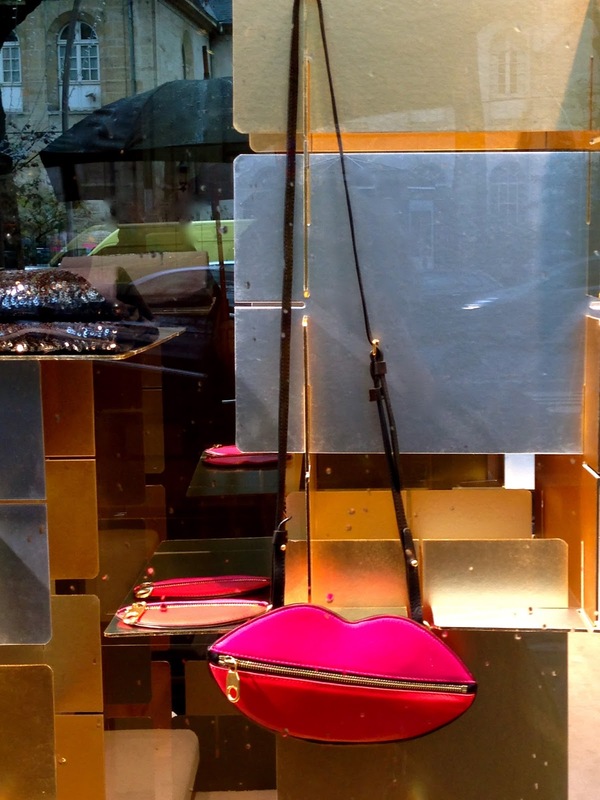 The beguiling bag that's been taking Left Bank fashionistas by storm is signed Sonia Rykiel. The sitting room of this top floor flat opens onto a balcony with majestic views, a perfect spot for evening apéritifs. 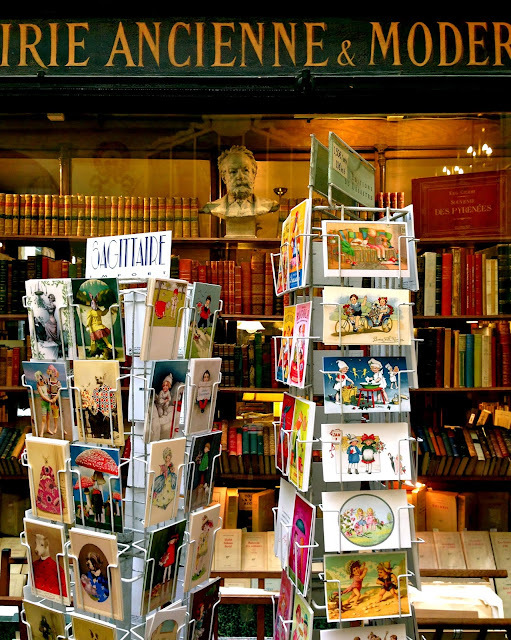 A bust of Victor Hugo keeps an eye on what goes on in this unusual family run bookshop. Striking in their bright orange garb this group huddled amid Montmartre's portrait artists before departing, single file, down this stairway. Clockwise: sweet peppers grilled in bacon, heirloom tomatoes in olive oil with garlic toasts, roasted duck breast on bed of caramelized onions tartine, pickled vegetables. Not shown: smoked salmon atop grain mustard cream tartines, chilled green pea soup with fresh mint, red wines from Bergerac. Barrel tables were pushed together so we could all sit together and share. Dessert, strong espressos and pain perdu, forerunner of French Toast, served with home-made vanilla ice cream. Early this morning I was struck by the peacefulness of this square, still wet after a night shower. 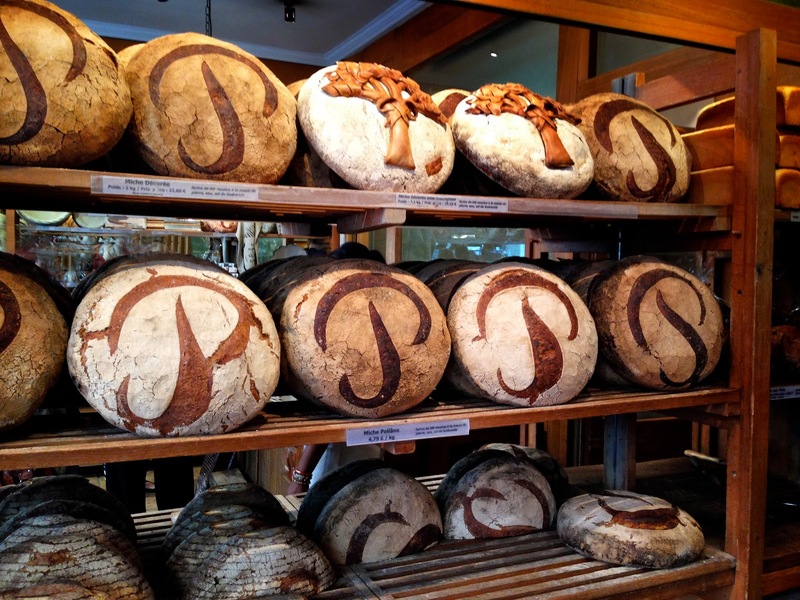 Today marks the last day of the "Graffiti Street," a long-standing Belleville mainstay. 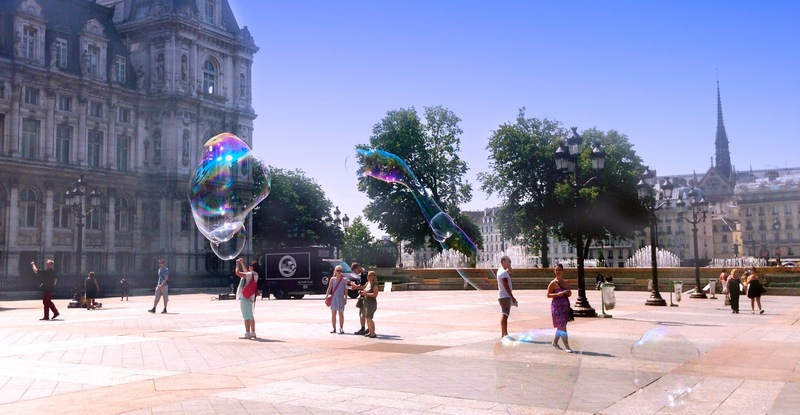 Always changing, it was the only place in Paris where anyone with a can of spray paint could let loose. This tiny bit of coffee packs a punch and, in its tiny way, has come to symbolize the Parisian lifestyle. With the Fornasetti retrospective winding up in less than a week I couldn't resist posting two more of my favorite photographs from this don't-miss exhibition. Back in season French rosés are showing up everywhere, even on supermarket shelves. Delicate French lace fills this Right Bank shop, conjuring visions of parlor gatherings and summer garden parties à la Renoir and Manet. The interplay of tree shadows on a polished wooden door. I am unable to pass Gérard Mulot's shop without being lured inside and picking something up. Real French macarons aren't nearly as sweet as expected. 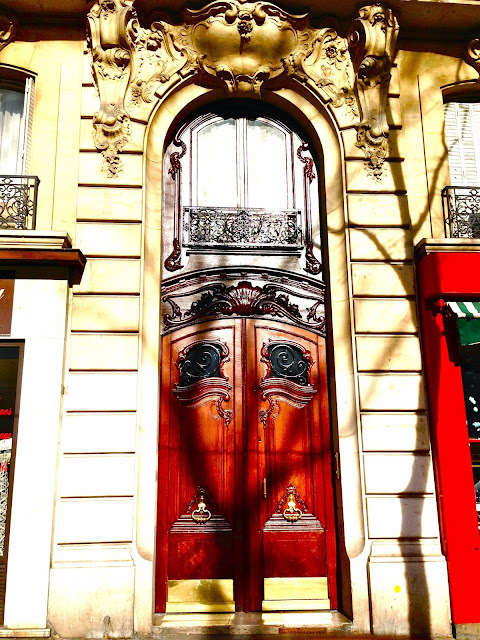 In Paris, turning a corner can stop you in your tracks.